How are we doing on our New Year’s Resolutions? It’s officially been a month now, and for many of us the keeping up has already become difficult. As I encourage you to keep exercising, keep trying new things or whatever you decided to commit to in 2018, I can understand those with dietary goals this year have found it especially difficult, what with all of these new and tantalizing restaurants popping up in Carson City and the surrounding area. How can you eat healthy every day when there’s so much food to try? Well, just as last week we checked in on Carson City’s flavorful ethnic fare, I’m here to bring you a few more dishes from the ever-expanding list of best local restaurants – this time those that serve up health-conscious vegetarian options. Whether you’re a committed vegetarian, considering the diet for moral or health reasons or you just need some more greens in each meal, these are some of the greatest spots in Carson City for healthy, interesting and delicious vegetarian cuisine. Vietnamese pho might not be the first thing you think when you think of vegetarian, as the hot noodle soup is often filled with chicken or beef. But at an authentic and locally owned place like North Carson City’s Pho Country, you should absolutely go for pho bursting with rice noodles, basil, cilantro, radish, leeks, onions and all kinds of other vegetables and herbs, topped perhaps with tofu. Pho Country makes quick, super-fresh Vietnamese foods and vegetarian options like stir-fried tofu noodles. 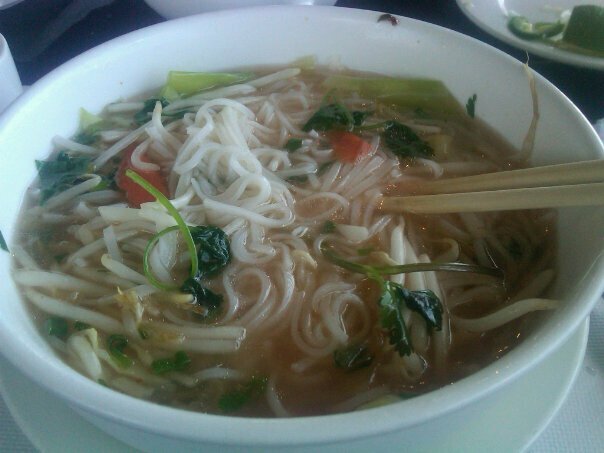 In fact, just about everything can be made veggie-style, so drop in and order some amazing pho for lunch or dinner. As much as I praise LA Bakery, it's just not enough. The place just recently expanded into a huge, high-ceilinged location in the West Side District. LA Bakery prepares its delicious foods and desserts with all diets in mind, from gluten-free cookies to vegan baklava. Vegetarians have their choice of incredible pastries, but for lunch, the veggie sandwich of lettuce, tomato, cucumber, avocado, onion and cheese is to die for. Plus there’s the broccoli and cheese quiche for an incredible, healthy and quick lunch on the go. 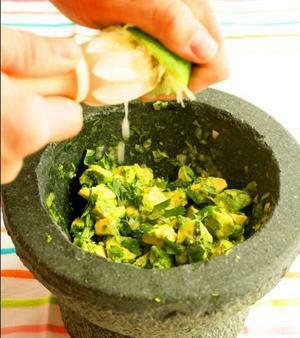 For a mind-blowing Mexican dinner, look no further than San Marcos Grill. Sure, you can opt for the cheese quesadilla, but why do that with such a fantastic veggie menu in front of you? I suggest the mixed garden veggie fajitas with sizzling seasoned bell peppers and onions. Or the stuffed pepper chile relleno, customizable with beans and San Marcos’ amazing Spanish rice. Right next door is one of my favorite breakfasts in Carson City at the Bleu Cafe. Good thing French beignets are vegetarian too! The light, fluffy, donut-y pastry dusted with powdered sugar is enough to keep you coming back every weekend. But breakfast also offers plenty of other sweet treats like pancakes and French toast plus The Veg scramble of mushroom, spinach, asparagus, onion, potato, egg and cheese. Homestyle cooking never quite felt healthier! So vegetarians and anyone looking to make the transition, Carson City is full of flavorful dishes catered to your dietary needs. Next time you don’t feel like cooking after a long day, or whenever you feel like hitting the town for some incredible food, look out for these restaurants or see what you can discover for yourself. As far as great food, this town just keeps getting better and better. For all events this weekend, visit our Daytime, Nightlife and Community pages.